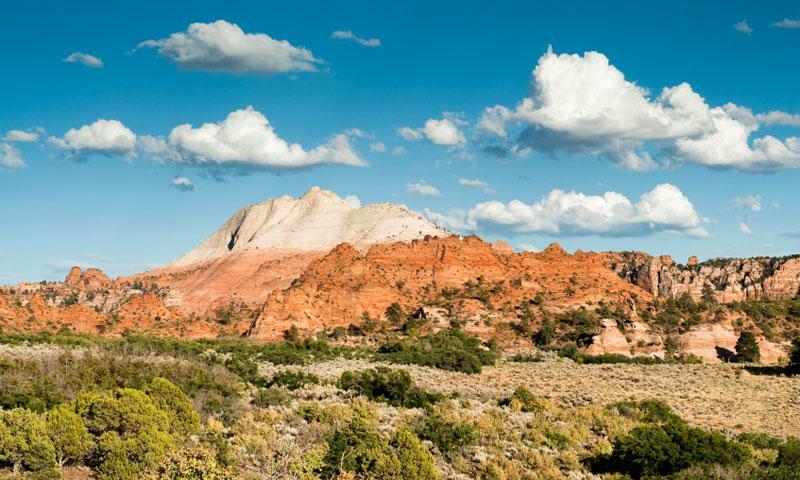 Head up to Zion's high elevations on Kolob Terrace Road, starting at Virgin and heading 25 miles northeast to the Kolob Reservoir, passing mountain forests, canyon overlooks and great hiking opportunities. Providing information on the breathtaking Zion National Park. 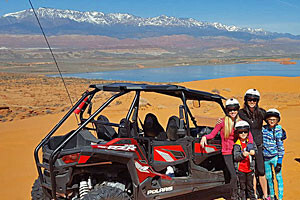 Lodging, maps, dining, sight seeing, and local activities are a few of the things offered here. Kolob Terrace Road rises to an elevation over 8,000 feet, nearly the highest point in the entire park. Starting in the town of Virgin, the route heads up the Kolob Plateau, looking over Zion Canyon. A local secret for trout fishing, Kolob Reservoir lays at the end of the route. The central section of Zion receives far fewer visitors than the popular Zion Canyon, but the rugged, craggy mountains and canyons have their own beauty. The Kolob Terrace Road works its way up the plateau, leaving the desert behind to enter the higher-altitude forests. Kolob Terrace Road starts in the town of Virgin, Utah, about 15 miles west of Springdale on State Highway 9. Once in Virgin, turn north onto Kolob Terrace Road, also called Kolob Reservoir Road on some maps. The trip from Virgin to Kolob Reservoir is 25 miles, which is generally done in under an hour. While the road does continue to meet with state highway 14 in the Dixie National Forest, most visitors return to Virgin along their original route. Found 20 miles after Virgin on Lava Point Rd., there are primitive campgrounds and a short hike to the Lava Point Overlook. At one of the highest elevations in the park, the point gives a great perspective of the entire area, perfect for group photos. 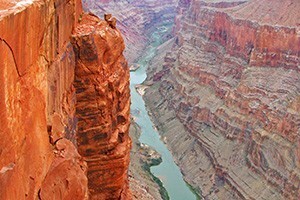 This is a classic canyoneering adventure for budding adventure souls. The full-day hike isn't particularly technical, but it's incredibly beautiful, with tunnels, pools, and even dinosaur tracks. Starting at Lava Point, the West Rim Trail heads 14.5 miles to the Grotto in Zion Canyon, but the first few miles have views worth taking a look at even if you're not going the entire way. About 25 miles from leaving Virgin, Kolob Reservoir lies at the end of the road. This is a well-kept secret for swimming, fishing, boating and all sorts of summer fun. Impressive series of highway switchbacks up a tall cliff in Southern Utah.